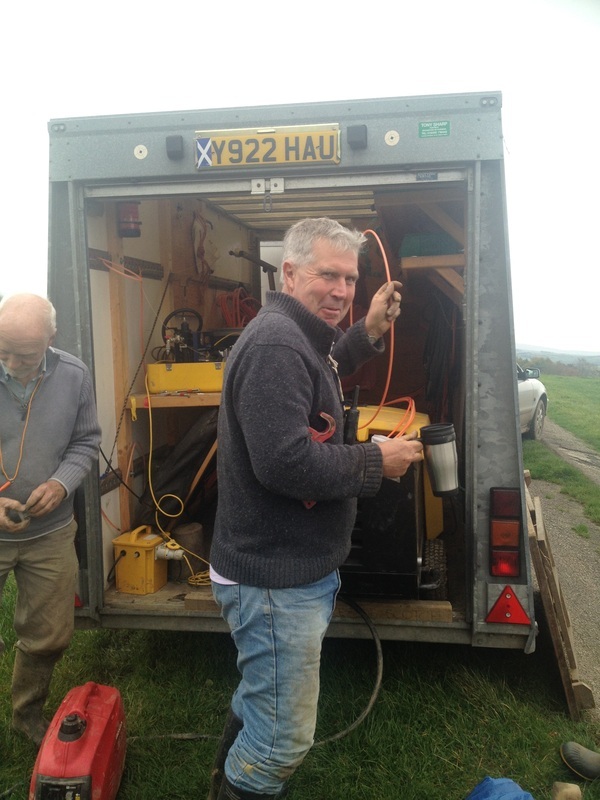 Broadband for the Rural North Ltd (B4RN) was setup as a not for profit social enterprise rather than as a standard limited company to reflect its commitment to the community rather than any profit motive. It was registered as a Community Benefit Society within the Industrial and Provident Societies Act 1965 (IPS) on 15th August 2011, and is regulated by the Financial Services Authority. As a social benefit company they lay fibre for every house they pass even if they don't subscribe so that they can connect in the future or if the house changes owner. The following articles are kindly reproduced from a sister organisation B4YS who are connecting Yealand, Silverdale and Storth to B4RN. The communities are doing this themselves, because BT won’t be bringing rural villages a decent service any time soon. The project involves communities laying high-speed fibre optic across farmers’ fields wherever they can. This is MUCH cheaper than digging up the roads, and totally independent of other providers’ networks (i.e. BT). The digging, connections and services are provided through a combination of community volunteers, donations, and farmers digging in return for shares in the broadband company. The project is not for profit. Victoria Turk has written one of the best articles we’ve ever read about B4RN, over at Vice.com. If ever you wanted a top-to-toe rundown of how B4RN works, here it is. Arkholme, Abbeystead, Aughton, Borwick, Capernwray, Dolphinholme, Gressingham, Newton, Docker, Littledale, Quernmore, Roeburndale, Wray, Wennington, Tatham, and is now approaching Melling, Priest Hutton, Whittington and Wrayton. With plans to extend to Clapham across Benthan Moor. B4YS are connecting Yealand, Silverdale and Storth to B4RN and have raised the funds and the dig is underway ! Click the link below to visit their exellent website and see how its done. Clapham Hyperfast raised their Stage One funding in only two weeks and their dig is also underway.